A total of 67 miles, averaging over 70 a week for the past 5 weeks, which is the most I have done for a number of years. I felt it this week to be honest, much more so than in the previous weeks. I could blame some on the weather and it being so warm, i could blame it on needing a recovery week (which is coming up soon in my schedule) or I could blame it on my own stupidity, I’ll explain that shortly. This week, I was delighted to welcome Sherfield Park Running Club to Bournemouth for a training session just outside my beach hut. 1. Barefoot running drills on the beach. The feet get spread out, the group gives way beneath you, and running on the sand gives you a work out. It is great for doing some drills on and for strengthening the feet in general. We did kick-back drills, moving the heels towards the backside in exaggerated fashion when running. This is to help build the natural movement and to ensure that our feet are being pulled back more, rather than reaching forward. Any time your foot goes further forward than your knee, you are essentially braking. We did drills working the arms effectively; using them to advance control over cadence, moving them forwards (not side-to-side), moving them from chest to waist (nips to hips), moving them from the shoulders and not the elbows, keeping the thoracic region relaxed and supple at the same time and then using our imagination to imagine the arms pushing us along. You can read more about how to psychologically use your arms more effectively here. We did drills in pairs to help establish an ankle lean when running and not leaning from the shoulders, waist or knees. 2. To practice what we’d learned in the drills, we did some gentle hills sessions with our running shoes back on. 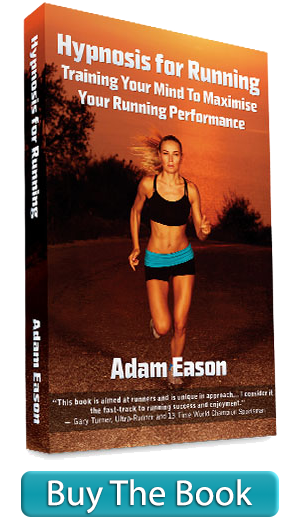 This was not supposed to be about running with effort, but to adopt form when running slowly. It is much easier to adopt good quality form when running faster, so to run up hills, we can power the arms, lift the heels and adopt the ankle lean much easier. Want to be a hill running machine? Read this article – Hill running machine. Here is something I wrote about using your mindset to adopt running form too. 3. We had a slow warm-up jog to Bournemouth pier, then ran pier-to-pier fast, recovered at Boscombe pier, then ran fast back, before having another mile to cool-down. This is where the stupidity happened. With over 50 miles under my belt so far that week, I decided to get competitive with my brother and run a couple of sub 6 minute miles for the pier-to-pier sections. It simply meant that I shot my bolt and struggled to maintain goal pace on Sunday’s long run. You live and learn, eh? Schoolboy error, will serve me right. It was a great group, and a great session. They have a lovely supportive attitude and are very inclusive, I love being around those kinds of runners. Thanks to my ace brother Ben for the pictures. This weekend I am running the Salisbury 5-4-3-2-1 50km trail race, so will report back about that in next week’s update… When I get back from my holiday, I’ll also have lots more of the usual techniques and strategies for effecting your running performance using your mind.